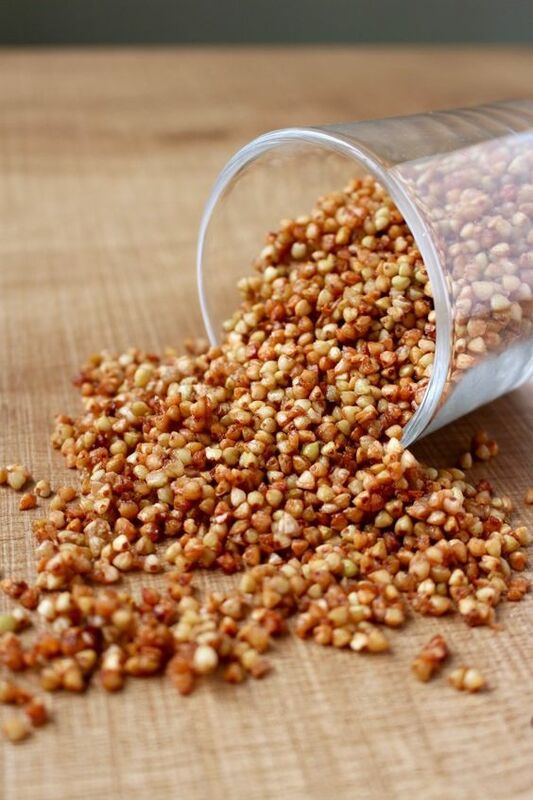 Buckwheat is a seed related to rhubarb and belongs to a group of foods called pseudo grains. It’s a high protein and fibre source which contains magnesium, zinc, selenium, folic acid and some B group vitamins. It’s delightful nutty flavour makes it one of my favourites to use in breakfasts, salads or baking. In the morning drain buckwheat through a sieve and run fresh water through. Measure out 1/2 cup of drained, soaked buckwheat per person into a sauce pan. Add in 1 cup of almond mylk, for each 1/2 cup of buckwheat. Place on a low to medium heat and stir regularly as it gentle simmers for about 10 mins. Most, but not all of the almond mylk will have evaporated by then . Once it’s ready to eat, you can add extra almond mylk. If you have some toasted buckwheat groats sprinkle them on top also for crunch. This can be a good breakfast to take to work by not cooking it like porridge.